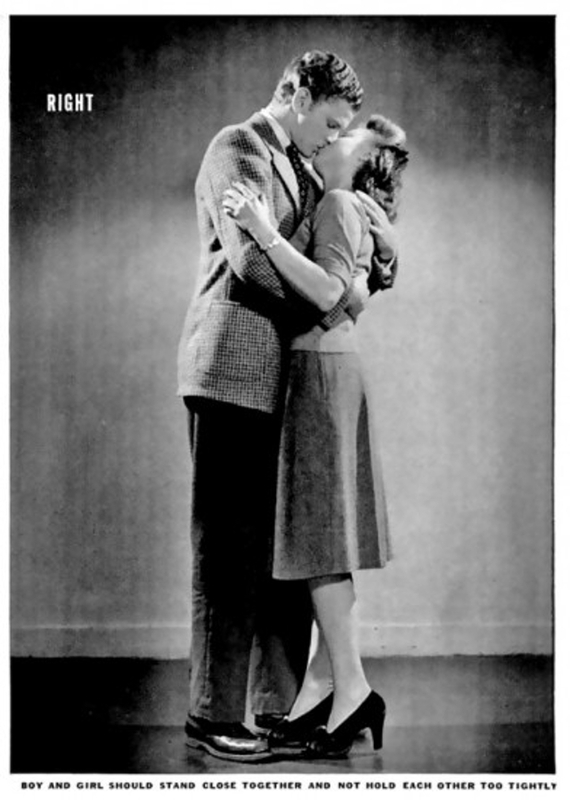 LIFE magazine published this guide for actors in 1942, but it may still come in handy today. According to these romantic pictures from the magazine, there are some vital basic steps to follow to achieve the perfect clinch. 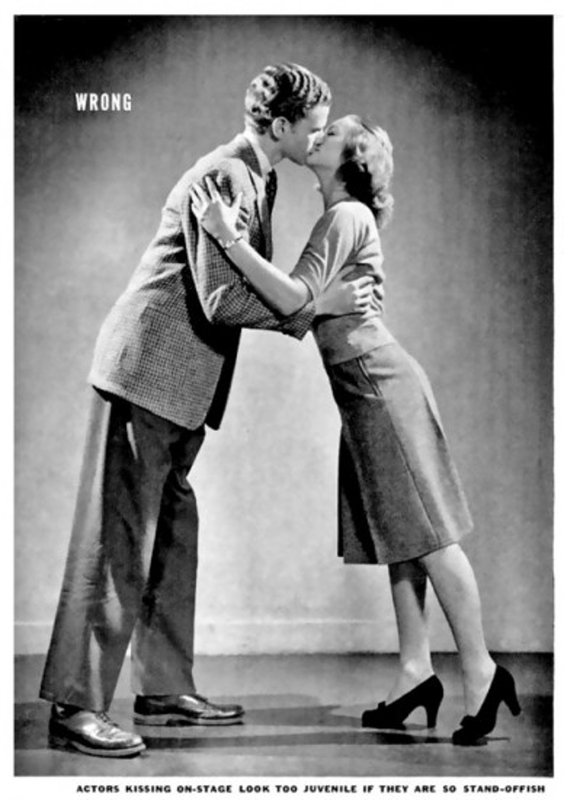 First, the how-to guide recommends that kissers should not stand too far apart - pointing out that actors doing this on stage look 'juvenile if they are so stand-offish'. Instead, the girl should avoid all danger of her sensible skirt riding up by sitting on the arm of a chair while the boy holds her. He should do so 'firmly but lightly', the etiquette guide continues. While some of the strict advice may seem quaint, the instructions from a back issue of LIFE magazine have provoked fierce debate over points of style.